Allow about two hours for the process, and make sure you back up your data beforehand. If you're a Windows 7 user, you're in limbo: while the last free major upgrade loophole to Windows 10 expired at the end of 2017, Microsoft will stop supporting the OS on Jan. 14, 2020. If you intend to upgrade to Windows 10 and the April 2018 Update but haven’t actually completed the process, we can help. For consumers, the choice is a simple one. Unfortunately, the free upgrade has expired, and you now have to buy your own Windows 10 license: either Windows 10 Home, or Windows 10 Professional. 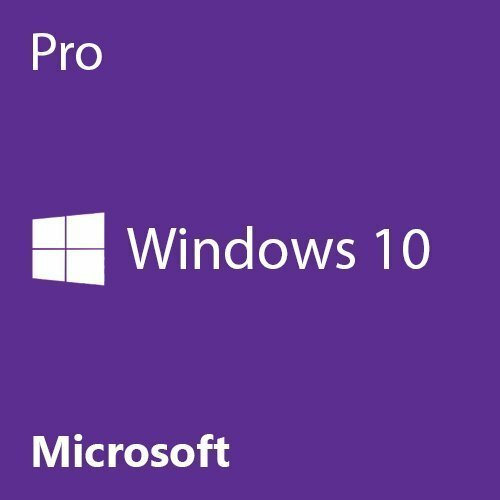 (Why buy Windows 10 Pro? Our story explains why you should consider it.) We'll explain how much you'll have to invest in a bit. During the update process, plan to invest some time in prep work and at least two hours in the upgrade process itself. And be careful—some of your applications may be left behind or simply turned off. 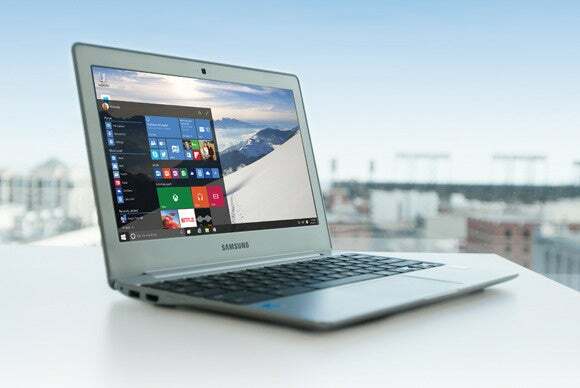 Aside from one major component of some versions of Windows 7, the transition between the earlier versions of Microsoft’s operating system and the new Windows 10 should be relatively painless. Basically, if you own a “Pro” version of Windows, you’ll migrate to the Professional version of Windows 10. Otherwise, expect to receive a copy of Windows 10 Home. (We have more about the individual Windows 10 editions here.) Ignore the upgrade path for Windows phones for now; the platform is essentially defunct. The upgrade path from Windows 7 and 8.1 to Windows 10. Besides this story, a good reference is Microsoft’s Windows 10 FAQ, which explains what happens to existing applications on your PC, including (expired) anti-malware subscriptions, as well as the system hardware requirements. A related document is the minimum requirements for a "highly secure" Windows 10 device running the Windows April 2018 Update -- this generally applies only to enterprise users, but may also affect secure boot in capabilities within consumer editions. What the second document boils down to is relatively simple: make sure you have a seventh-generation Intel Core chip or above, or else a comparable AMD processor. Also, and this is important: Make sure you’re running a genuine, licensed copy of Windows—sorry, Microsoft won’t be upgrading pirates for free. Microsoft has also released the official retail pricing for Windows 10, in case you’re building a PC. (If you're buying a laptop or desktop PC, Windows will almost certainly come installed, and any upgrades are unnecessary.) In general, you can pay $120 to download Windows 10 Home from Microsoft directly, $200 to download Windows 10 Pro from Microsoft directly, or pay a little less to buy it from an e-tailer. Amazon charges $109.99 for Windows 10 Home, and $189 for Windows 10 Pro. Double-check your microprocessor; you'll almost certainly want the 64-bit version of the OS, if it's offered. And make sure to buy from a reputable vendor. There's another option: buying a "system builder" license from an e-tailer. This is usually the choice of enthusiasts, but it offers no support or even instructions from Microsoft. 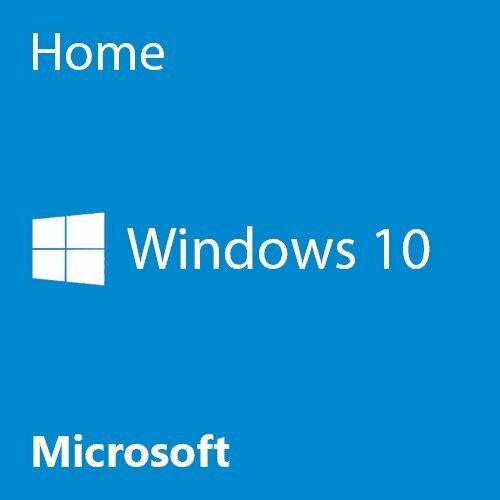 It's cheaper: Windows 10 Home is $110 ($93) from Amazon; while Windows 10 Pro was $143 from Amazon. Preparing for Windows 10 was never that hard to begin with, but Microsoft’s made it even easier. Windows 7 users must be running Service Pack 1 to enable the update. At one point, Windows 8 users were required to upgrade to Windows 8.1 before they upgraded to Windows 10. Microsoft representatives confirmed that this is no longer the case, though—Windows 8 will do just fine. I’ve negotiated several upgrades without having any issue with losing files. Just to be safe, though, back up all critical documents, photos, videos, and whatever else you deem important onto an external storage device of some sort. “Applications, files and settings will migrate as part of the upgrade, however some applications or settings may not migrate,” Microsoft says, somewhat cryptically. If you’ve done that, then you’re ready to begin. Look for the tiny Windows icon down in the lower-right corner of your taskbar, and click it to launch the Windows 10 reservation app, also referred to as “Get Windows 10” or “GWX”. You may be familiar with it anyway, as that’s the app that’s been continually reminding you to download Windows 10. 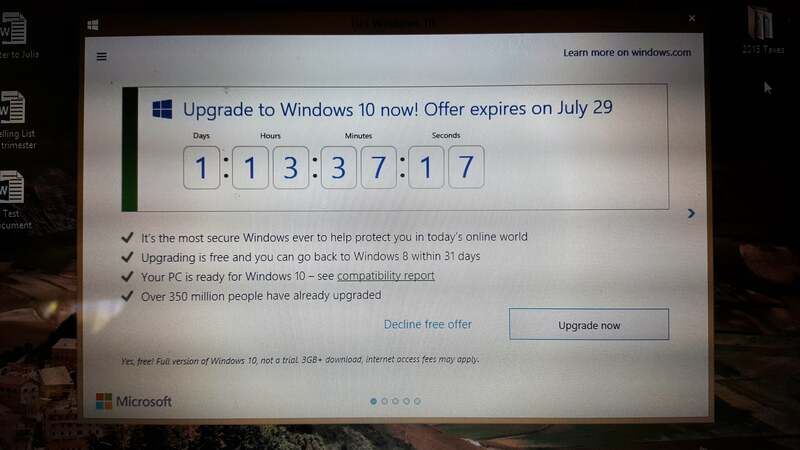 The “Get Windows app” will, as of July 2016, feature a large “countdown clock”. Microsoft also warns that even if your PC seemingly meets those specifications, it might not be upgraded. “Driver and firmware support, application compatibility, and feature support” could affect whether the Windows 10 upgrade takes place, not to mention missing or damaged files, or simply having insufficient drive space to complete the upgrade. Use the “check my PC” function within the reservation app to find out whether your computer has been qualified to run Windows 10. Once the installation phase completes, your PC will reboot and the upgrade phase will begin. During this time, Windows will show an animation of a large circle slowly being drawn onscreen to indicate how the upgrade is proceeding, plus a more detailed view at the bottom of the screen. At this stage, the process should be rather anticlimactic, though you’ll definitely want to take some time near the end to customize settings rather than accept Windows 10’s Express settings. After a reboot or two, you’ll be asked to log in using your password. After my upgrade was completed, I was rather unceremoniously dumped into Windows 10. In all it took me about two hours to upgrade an older Asus PC to Windows 10. From there, though, the process may begin anew. It's possible that upgrading to Windows 10 won't take you directly to version 1803, AKA the April 2018 Update. From there, you'll may have to download and install additional updates. The upgrade process will involve some sacrifices—but Microsoft is making an effort to make the transition as painless as possible. Your beloved Minesweeper will be revamped for Windows 10. For one thing, if you own the premium versions of Windows 7 — Windows 7 Home Premium, Windows 7 Professional, Windows 7 Ultimate—as well as Windows 8 Pro with Media Center or Windows 8.1 Pro with Media Center... say goodbye to Media Center. Microsoft is going to install its own DVD-playing app into Windows 10 to replace it: the Windows DVD Player app, which (due to licensing fees) costs $14.99. (Just download the free VLC app instead.) Likewise, Windows 7 desktop gadgets will be uninstalled. 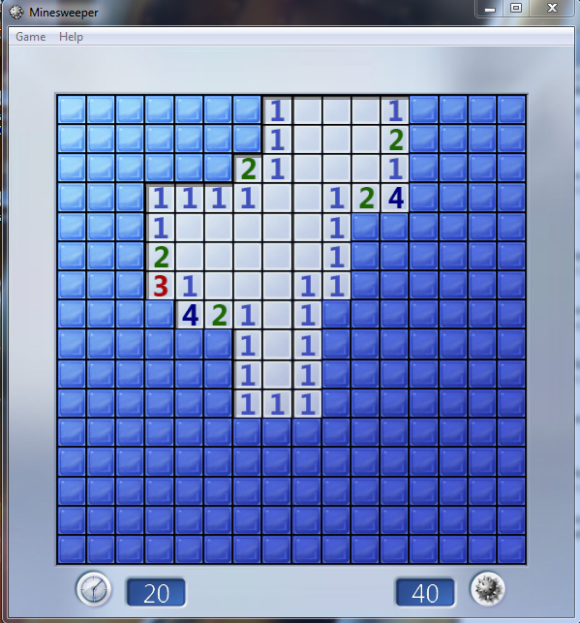 And the Windows 7 versions of Solitaire, Minesweeper, and Hearts that came with Windows 7 will also vanish, to be replaced with new versions of those apps with Windows 10. Microsoft also says that it may erase “some applications that came from your OEM.” Some of your PC’s bloatware—or prized utilities, depending on your view—could vanish. Finally, Microsoft will uninstall, then reinstall, your antivirus application. If your subscription is out of date, however, only Microsoft’s own subpar antivirus app, Windows Defender, will be installed. Be sure and check this after upgrading, though Microsoft should also warn you if anything is amiss via its fly-in notifications. I found that my antimalware solution and firewall survived the upgrade process just fine, but the firewall was turned off. Windows Defender should enable both a firewall and antivirus solution if both are missing. 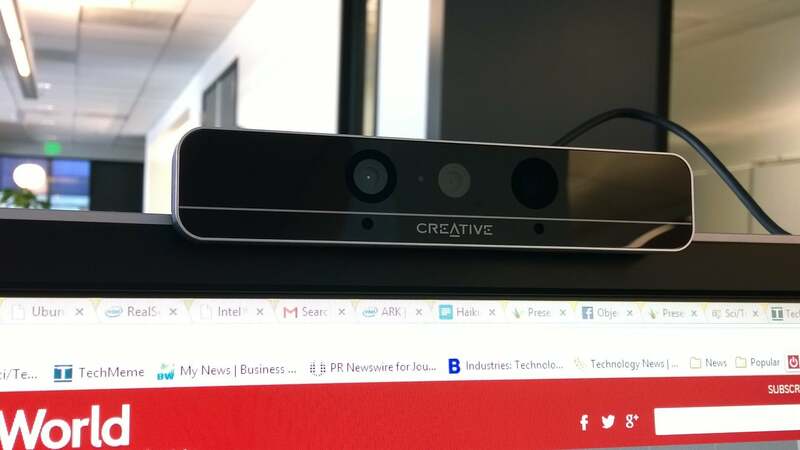 Windows Hello won’t recognize your face without a specialized depth camera. Keep in mind that older hardware simply won’t include some of the hardware conveniences being included inside new Windows 10 machines. For example, Windows Hello, which logs you into your PC by recognizing your face or your fingerprint, won’t work with all webcams—chances are that you'll need to buy something like a Tobii Eye Tracker 4C. Speech recognition will work best with a high-fidelity microphone array; no surprise there. And there’s a whole host of nitty-gritty specifics that Microsoft has included for Windows 10 Professional, such as a requirements for BitLocker and Wi-Fi Direct Printing. If Microsoft hasn't already updated you directly to the Fall Creators Update or above, be prepared to go through some additional downloads and updates, too. With Windows, updating typically takes a while. Your best bet is to kick off the process during the evening, do some laundry or watch some TV, and check back every so often. Congratulations, you’ve upgraded to Windows 10. But what if you want to go back? Windows 10 does allow you to revert to a previous operating system after you’ve upgraded, but just for a limited time. Note that there’s also the option to perform a “reset” of the PC, which can also help speed things up if Windows 10 is running slow. A clean install is sometimes a good idea—and another reason to back up your files. 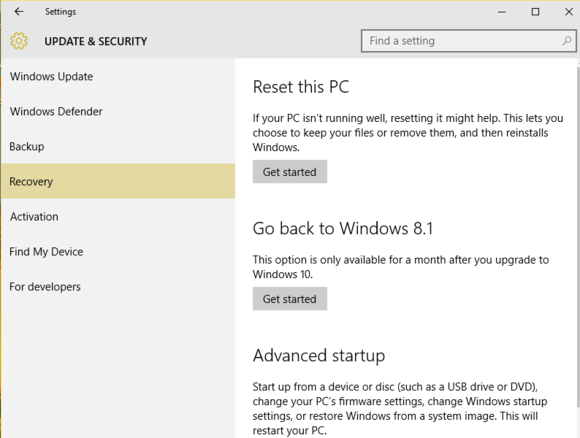 To downgrade to Windows 8.1 or Windows 7, open the Settings menu, then Update & Security > Recovery. You’ll see a “Go back to...” option for your prior operating system. If those 31 days have expired, however, you’ll simply see options to “Reset this PC” or “Advanced Startup”—neither of which will revert the PC to the earlier operating system. It’s a pain, but many feel that even if you have no plans to upgrade to Windows 10, you may as well snag the free upgrade, then revert back. 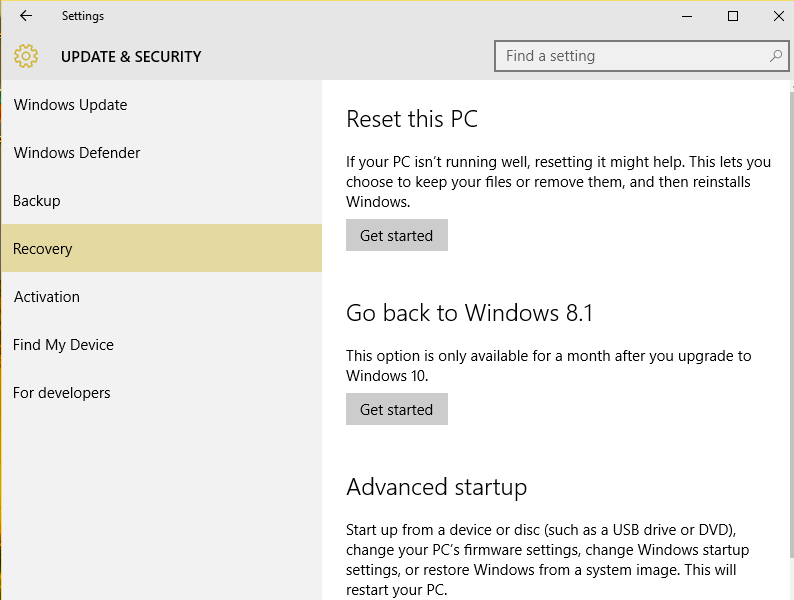 Before you revert, though, play it safe: Grab a copy of your Windows 10 product key. Windows 10 should automatically give you a “digital entitlement” to your license simply by upgrading; we’re just playing it safe in case Windows ever asks for it if you decide to upgrade again. We’d recommend trying this Nirsoft utility should snag your Windows 10 product key. Copy it down and squirrel it away. If you’re new to Windows 10, check out our guide for starting off right in your first 30 minutes, with a brief introduction of Windows 10 and its various features. Your final step: bookmark PCWorld.com’s Windows 10 page. Microsoft will keep updating Windows 10, and we’ll keep you up to date on what you need to know. This tutorial was updated on April 27, 2018, with the latest information.